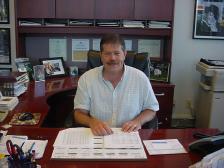 Hi I'm Bill Zeller, owner of Northtowne Motors, I have been in the business field since I was 14 years old. I am married with one son, William. With a long family business background, it was only fitting that I pursued a business career. A University of Toledo graduate with a Business Degree, I have always strived to be the best I can be in the business industry and as you'll see by looking at my inventory, I take this business very seriously. Since 1997 I have personally bought each and every vehicle myself, sounds crazy but it's my name above the door and in this business reputation is everything. I specialize only in late model nice clean vehicles. EVERY vehicle is thoroughly checked out and serviced by our off premise service department. If it doesn't pass my high standards, it will not be offered for sale. I'm just picky that way.